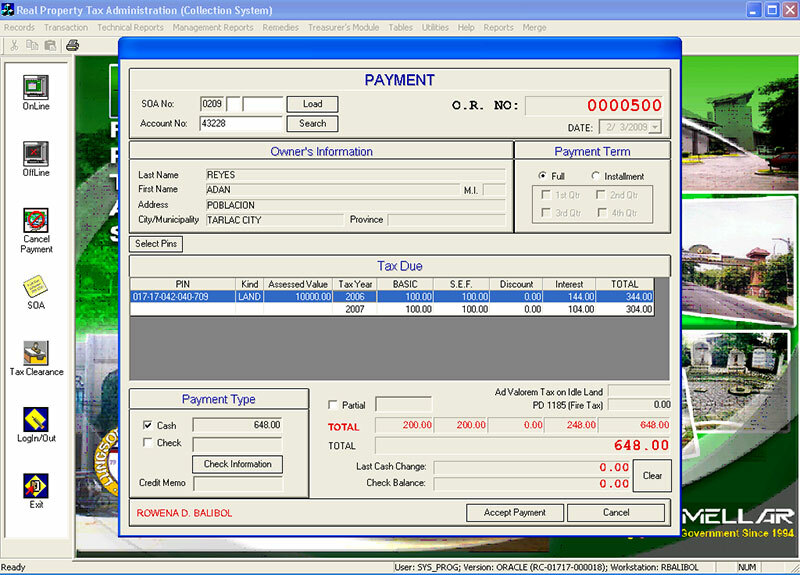 Among all the locally-sourced revenues of LGUs, the real property tax is the most complicated and tedious to manage. With Amellar RPTA©, LGUs can administer real property taxes, maintain the voluminous tax records, and prepare mandated periodic reports with remarkably less time and human resources. Amellar RPTA© computerizes and seamlessly integrates the comprehensive appraisal, assessment, billing, and collection of real property taxes. It covers the RPTA functions and activities of the treasurer�s and assessor�s offices. Amellar RPTA© simplifies tax records management and enables LGUs to easily identify delinquent taxpayers and undeclared or under-declared real properties. In turn, LGUs can target collection efforts more effectively. 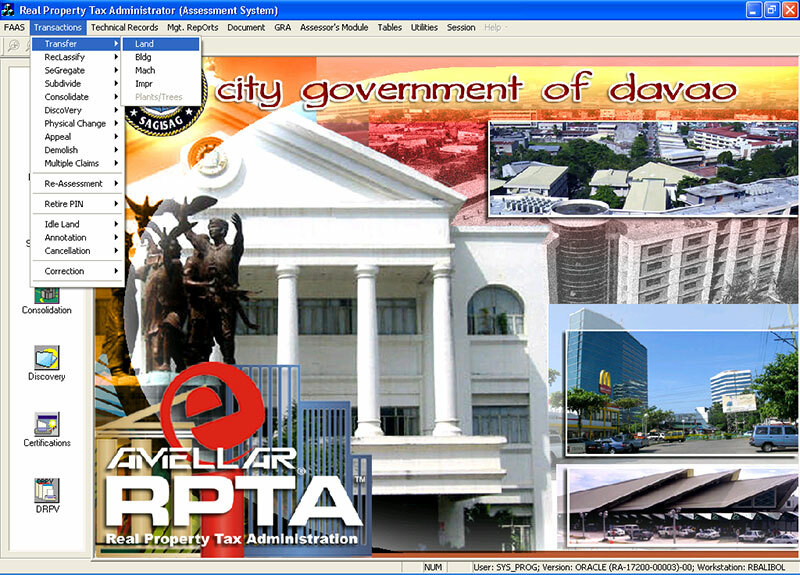 Amellar RPTA© is currently the most successful, fully-automated RPTA system that guarantees an improvement in the LGU's collection efficiency and tax revenues. 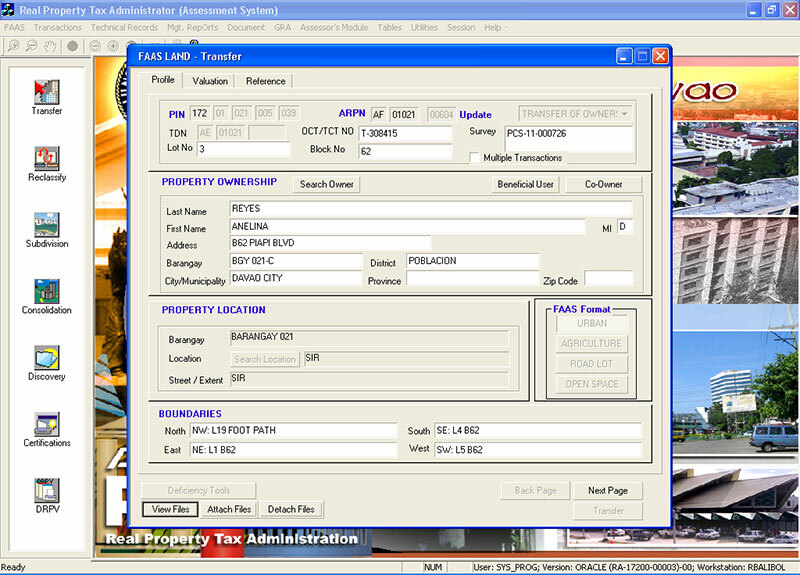 Automates all real property transactions (transfer, reclassification, subdivision, consolidation, etc. ); assessment, billing, payment, and collection liquidation processes; general revision of assessments; and public auction of delinquent real properties. 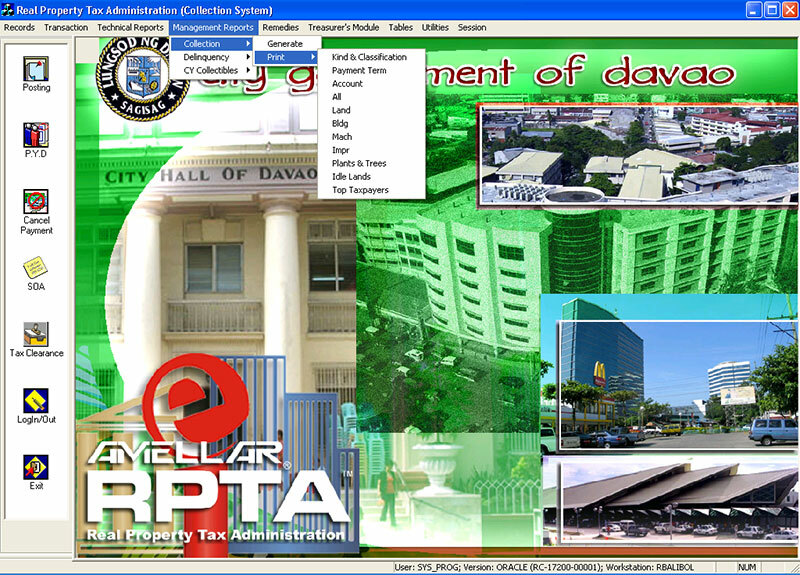 Allows dynamic records updates across departments and sub-offices, and synchronizes databases across LGUs through local and wide area network, for instantaneous intra- or inter-government connectivity. 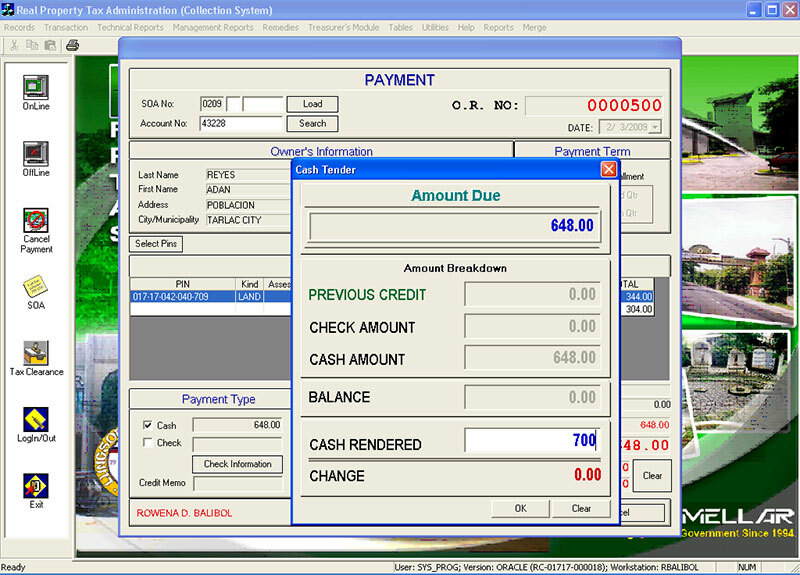 Allows onscreen viewing, online printing and mass production of DRPVs, statements of accounts, O.R.s, notices of delinquency, and other transaction, legally-mandated and technical reports. Enables rapid and accurate forecasting and implementation of actual or hypothetical legislative or regulatory changes on valuation or revenue. Facilitates the enforcement of collection remedies through tagging and cross-referencing of real property parcels issued with notices of delinquency, warrants of levy, and notices of publication for public auction. Creates accounts receivables for uncollected real property taxes as required by COA�s New Government Accounting System. Establishes patterns of tax compliance or payment to facilitate enforcement of collection remedies.